Use the resources here to make your experience with Cedars-Sinai as simple and easy as possible. Wherever and whenever you need us, we’re close at hand. We serve more than 1 million people each year in over 40 locations. 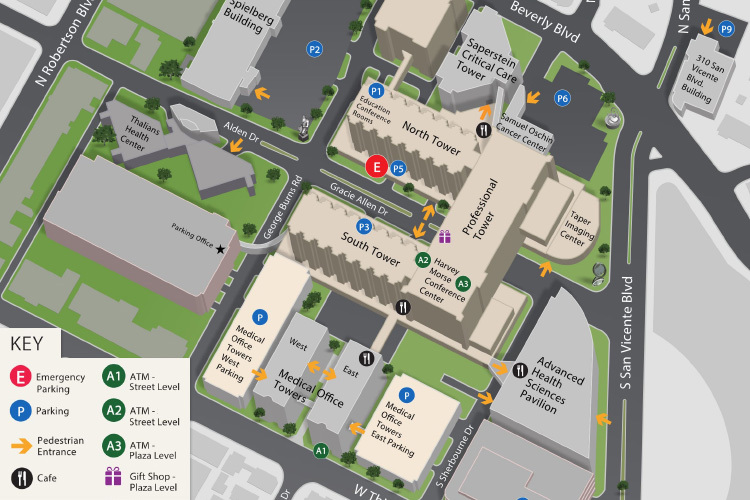 Use our interactive medical center tool to find turn-by-turn directions to your doctor’s office or to other locations, such as bathrooms, elevators, and cafes within the medical center. Get turn-by-turn directions on your phone with our mobile app. Communicate with your physician, request medical records, view test results, manage bills and more, from your computer, tablet or smartphone. Our patient platform is secure and easy to use. Supporting you at every step of your journey. Guides and amenities for friends and family. Cedars-Sinai accepts more than 100 types of insurance plans, including Medicare and Medicaid. Let us guide you through your options and opportunities. Healing is about more than just the physical needs of the body. Our interfaith chaplains will work with you and your family to meet your spiritual needs during your stay. Meditation and Reiki healing sessions are also offered at Cedars-Sinai, to support your overall mental and emotional wellbeing. 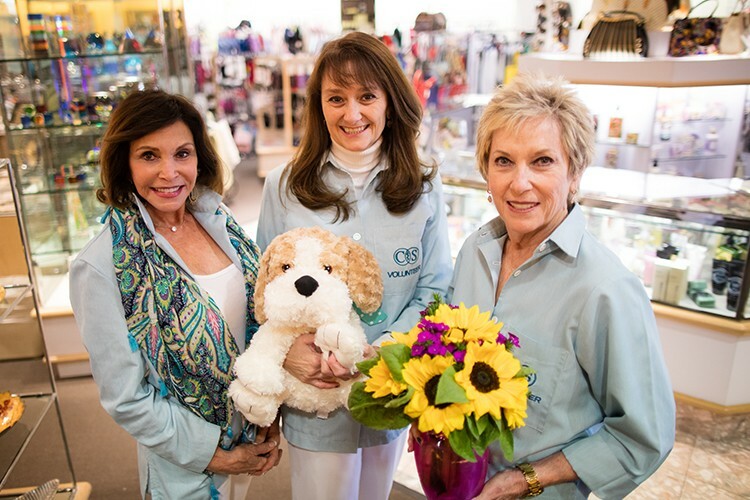 Volunteers run our retail locations in the medical center and the Pavilion lobby. Purchases made at the medical center or online can be delivered free of charge to any patient's room or on-campus employee's office. All proceeds support the Department of Obstetrics and Gynecology. 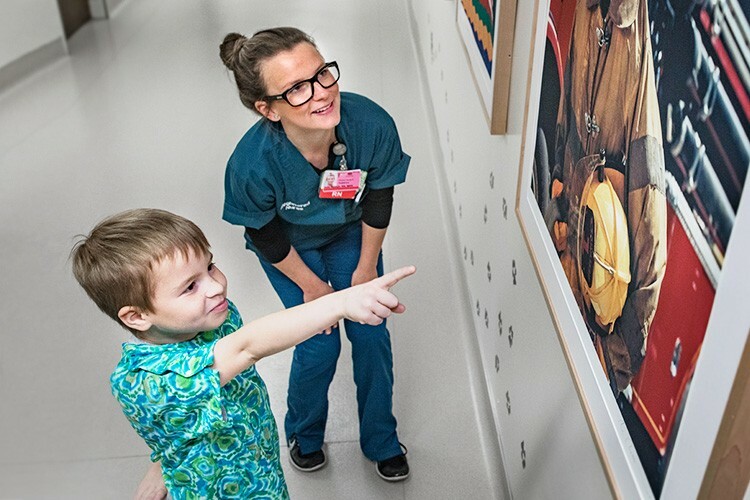 As a patient or visitor, you will encounter the unique therapeutic benefits of some of the world's greatest art, thanks to Cedars-Sinai collection of more than 4,000 donated masterpieces. Dedicated support for patients arriving from other countries. No matter where you live or where you're from, language or distance won't limit Cedars-Sinai's commitment and dedication to providing you with world-renowned care. For your own peace of mind, or to share with other providers. Share any concerns or feedback. At the Cedars-Sinai Medical Center campus, getting online is easy and free. Choose the "csguest" network in your device's wireless settings. A "guest" login window will appear. Select "log on as guest" — no password required.